On Wednesday, December 22. 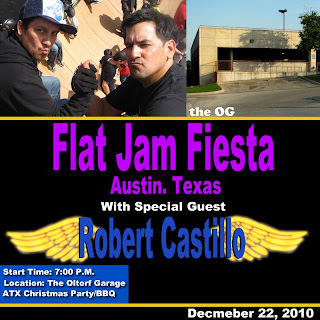 2010 The ATX Flatland Crew will be throwing Flat Jam Fiesta with special guest Robert Castillo. You may have read an article that BMX Freestyler did with Robert a few months ago. He is making a special trip to Austin,Texas to see family and friends. This is your time to come out and meet Robert Castillo in person. 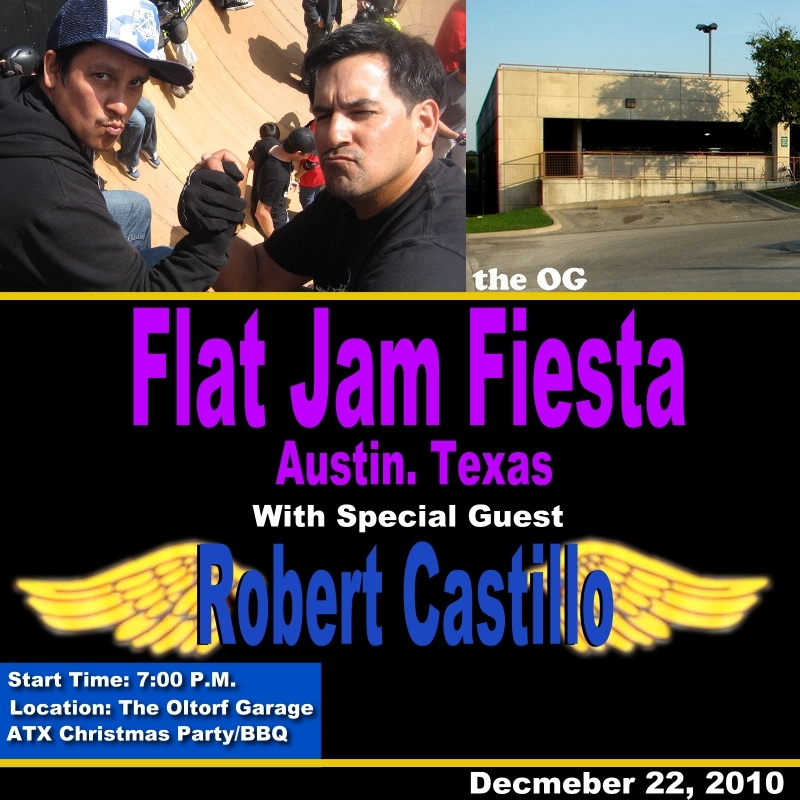 We will also have our annual ATX Christmas party and do some cooking out. Please RSVP here if you are coming so we can have a head count to make sure we have enough to go around for everyone. very cool Mark. I put your flyer up and linked to here on flatstyle also. Should be fun! I don't know how you are so extremly fast! You don't a thing!